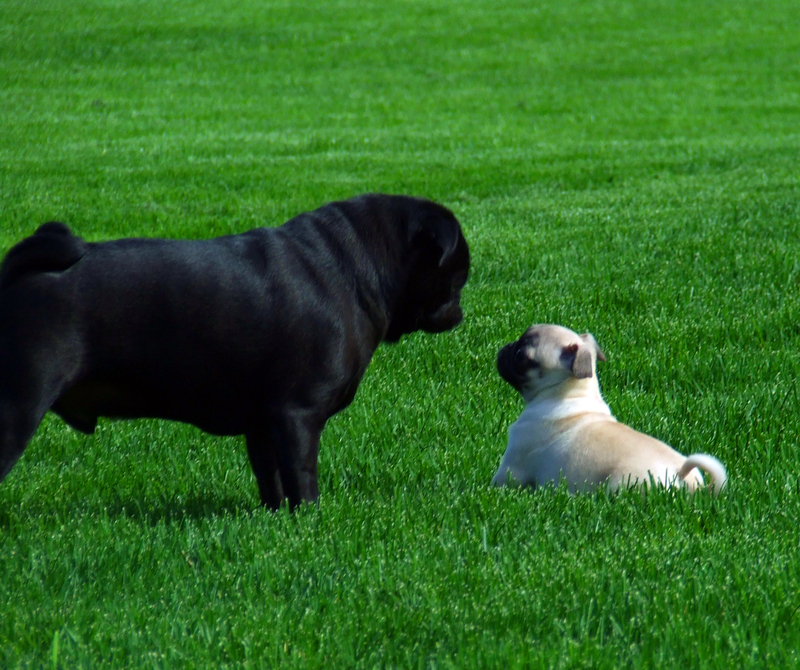 Cute black pug with a fawn pug puppy! This duo is absolutely darling! They’re clearly getting ready for a good quick run, well, as fast a pug can run at least. 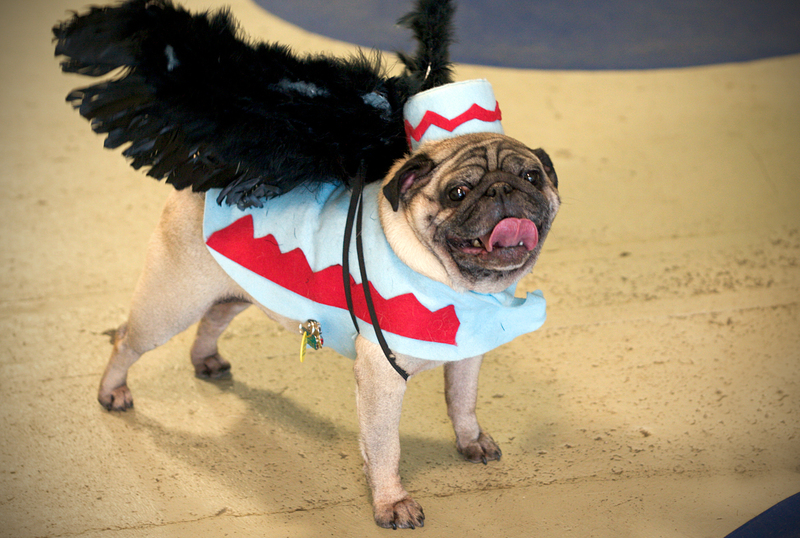 Cute pug as a flying monkey! The flying monkeys have never looked so good! It’s Saturday, time to party! 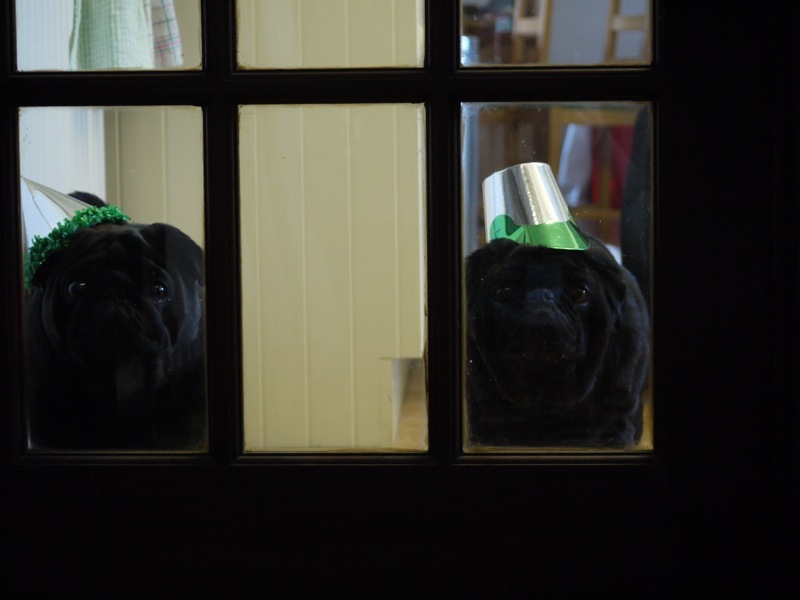 These pugs are ready to celebrate the weekend with you! 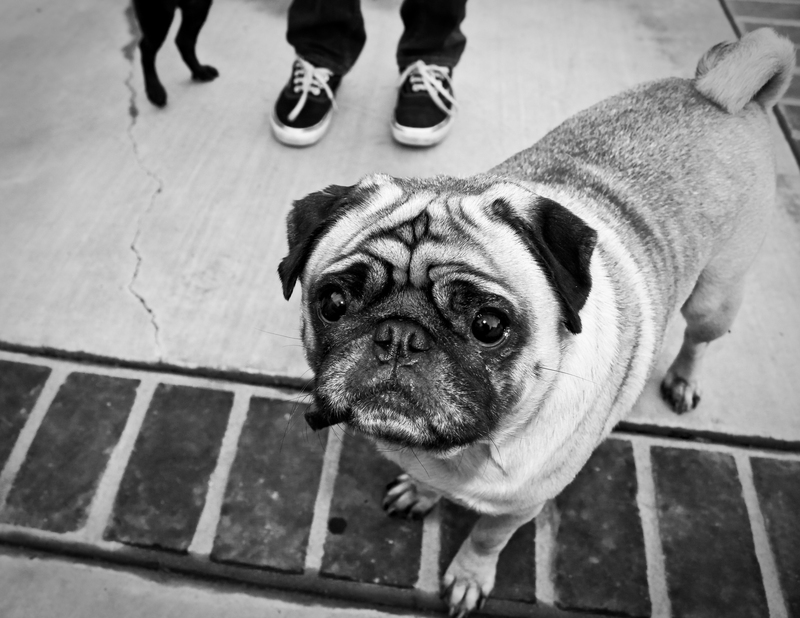 This cute pug looks so concerned! And quite the grouping of distinguished greys on his chin! 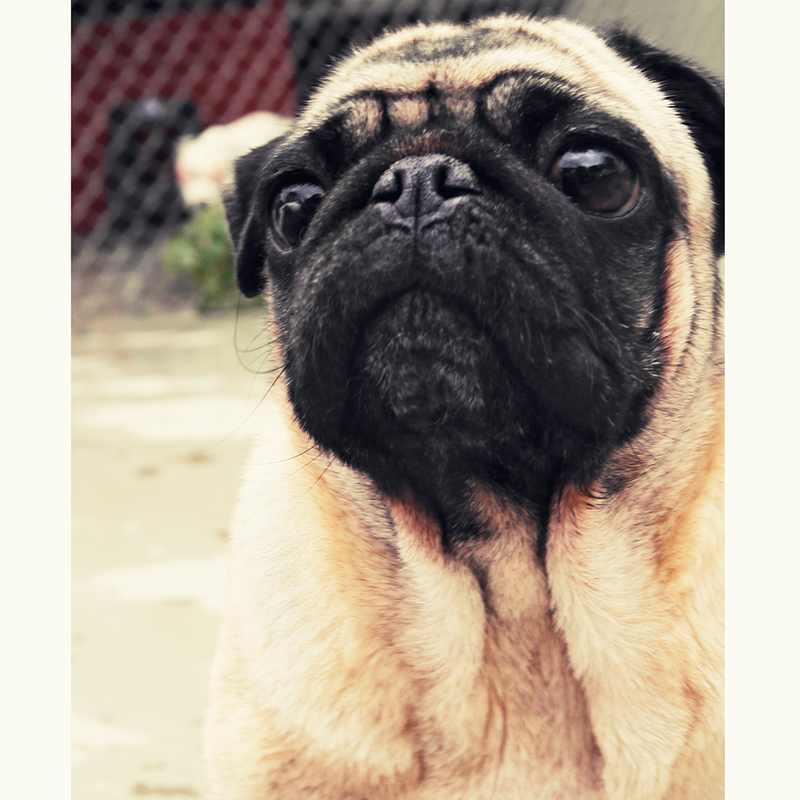 This pug is looking into the distance! 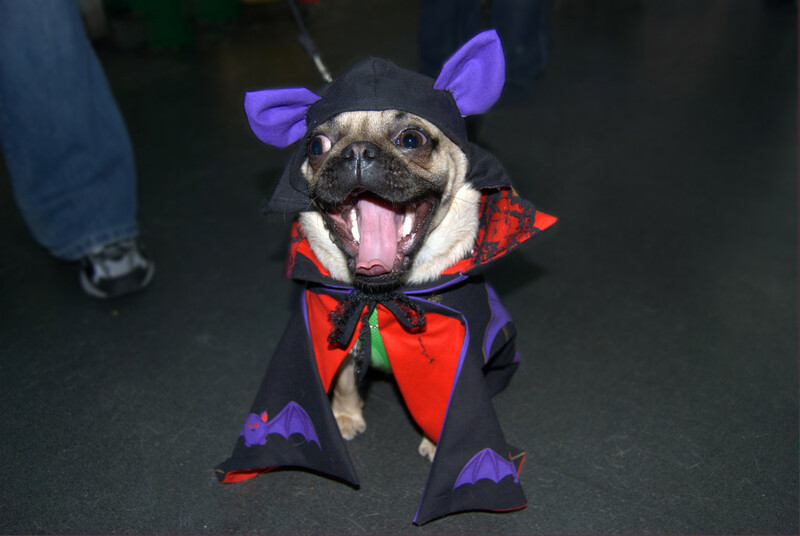 What a dreamy pug. He looks lost in pug thoughts (like snacks and naps). 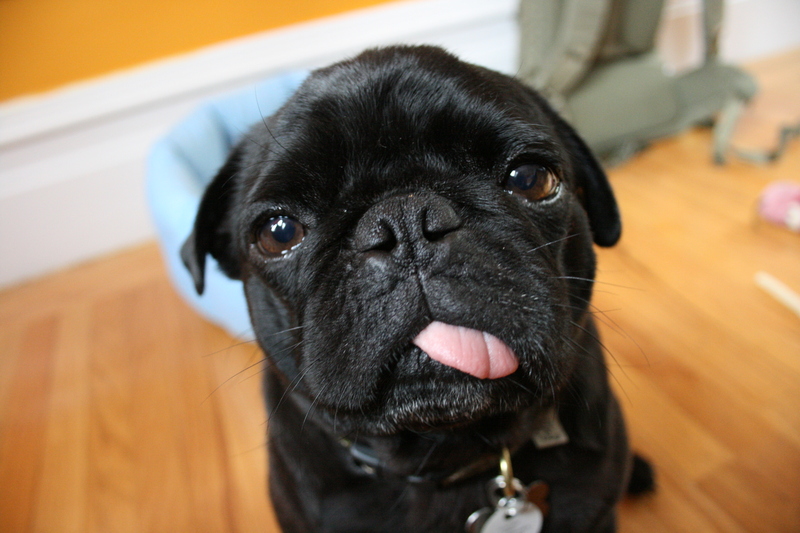 Adorably hanging out, this black pug was ready for her close up! She is ready to break hearts for sure. 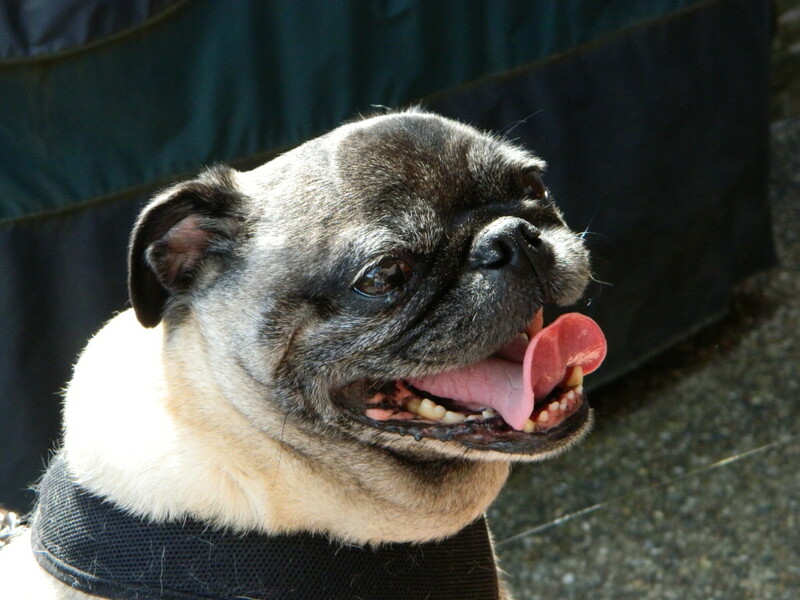 This pug is enjoying the great outdoors! 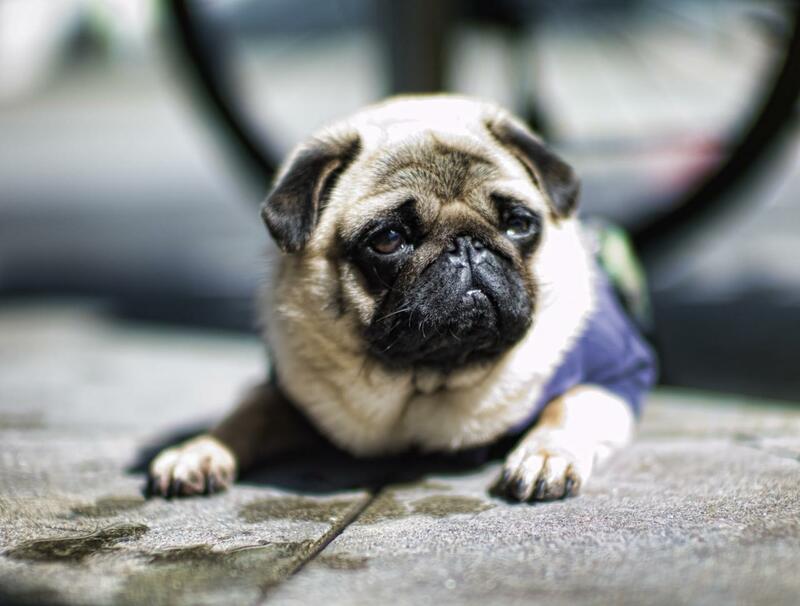 It’s time to start enjoying the really nice weather (especially before it gets too hot to take your cute pug pal for a walk!). 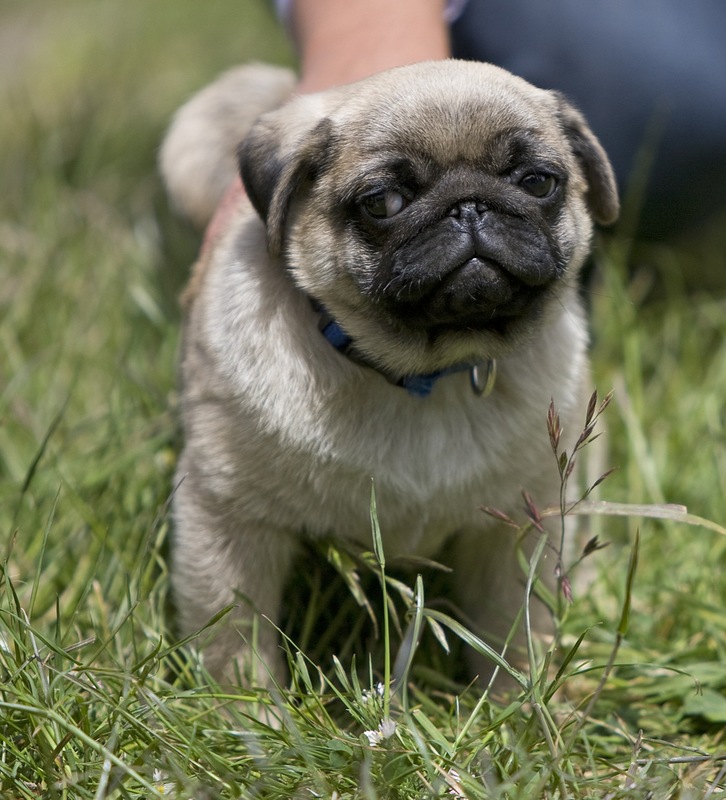 This pug is strolling through the meadow.